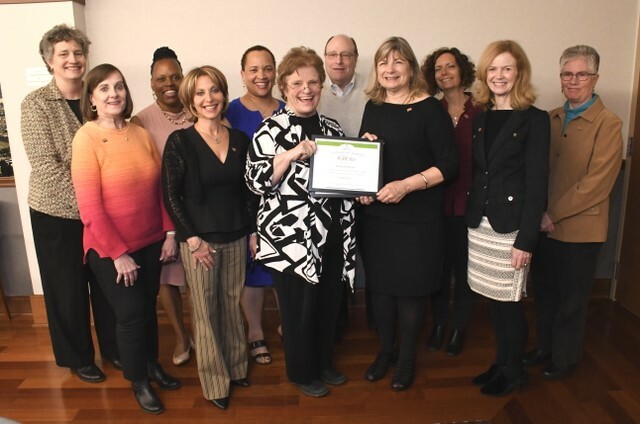 Jewish Family Services (JFS) and JFS Care At Home have become the state’s first organizations to earn certification for “Getting It Right: Creating an LGBT Inclusive Organization”, an integrated program including actions and resources to help organizations adopt practices of intentional inclusion for LGBT elders. Certification is achieved by adopting proactive and ongoing practices that go beyond current standards and policies of non-discrimination. Participating organizations embrace intentional inclusivity, defined as a collection of specific practices, such as cultural sensitivity training for staff, adoption of public messaging about inclusivity, and program sustainability measures. According to Joan Twiggs, PhD who was hired by CCC as project coordinator for the “Getting it Right” initiative, “we have worked diligently and carefully to achieve goals that are groundbreaking in terms of bringing awareness to the needs of the aging LGBT client and organization certification is an example. “We look forward to guiding other organizations to achieve an inclusive environment and, ultimately, Getting It Right certification. Twiggs specializes in work with nonprofits and is a founding member of the LGBT Aging Advocacy Group along with CCC and other organizations.